KINGSTON - Get right in the New Year when New England's Funkiest Band and New England's Best BBQ are in the same room... 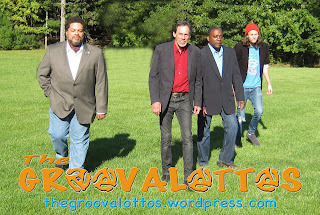 The GROOVALOTTOS bring the party to Frankie D's BBQ and Grill in Kingston, MA, Friday January 6, 2012. Nestled in the Stop & Shop Mall off of Route 53/3 (164 Summer Street Kingston, MA 02364), Frankie D's is easily one of the best food, drink and live music spots in the area. The show starts around 9:30 pm. For more info, call (781) 582-8226. DENNIS - Say it with me: The G-R-O-O-V-A-L-O-T-T-O-S bring DEEP Soul-Funk to the All American Grill in Dennis, MA on Friday, December 30. Doors open at 9:30PM. Join New England's FUNKIEST Party Band as they bring the party to The All American Grill, 50 Route 134, South Dennis, MA. Hear The GROOVALOTTOS "Make It Look Easy"
BARNSTABLE - Finally, a sample of one of the most entertaining bands in New England can be heard on-line. This summer, The GROOVALOTTOS did a live 4 song EP "Live As Funk" which includes the funk-rock instant classic, "Make It Look Easy". The GROOVALOTTOS will be performing a free concert on Saturday 9/24 at 3:30PM on the Mashpee Town Green/ Collin's Lot/ The Old Powwow Grounds and on 9/30 as a part of the JazzFest Stroll in Falmouth on Friday 9/30 at 6:30 PM. "The last time they played here," Recalls the bouncer, "they had folks in the room dancing from the sound check." Once again the party returns to the dancefloor at GRUMPY's PUB in Falmouth with The GROOVALOTTOS. 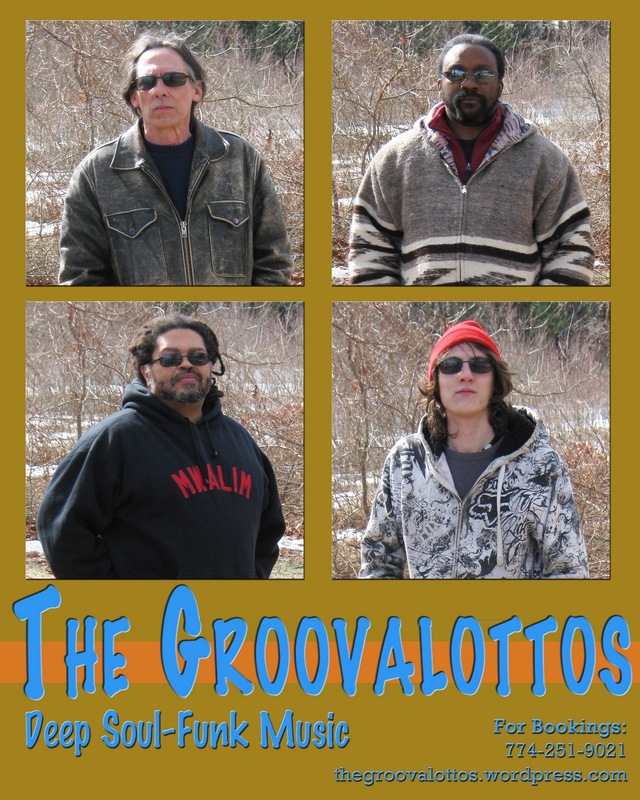 Individually, they are known as The Big Bad Wolf, E Ray J, Daphunkeeprofessor and Papa Smurf; collectively, they are The GROOVALOTTOS, one of the funkiest bands to ever play in the New England music scene. FALMOUTH - After packing the dance floor at their premiere show at Grumpy's Pub, The GROOVALOTTOS return with their Deep Soul-Funk magic on Saturday April 9, 2011 at Grumpy's Pub - 29 Locust Street, Falmouth, MA. Making a giant splash into the southcoast music scene at the end of February, The GROOVALOTTOS are quickly booking a stream of gigs, gaining fans, and keeping the party moving! Doors open at 9:30 for a 10PM show!!! For more info, Call Grumpy's Pub at (508) 540-3930. The Party's At Grumpy's Pub on Saturday Night!! !